The Tropitone® South Beach Padded Sling Spa Chair offers an ultra-hip seating alternative with modern comfort. 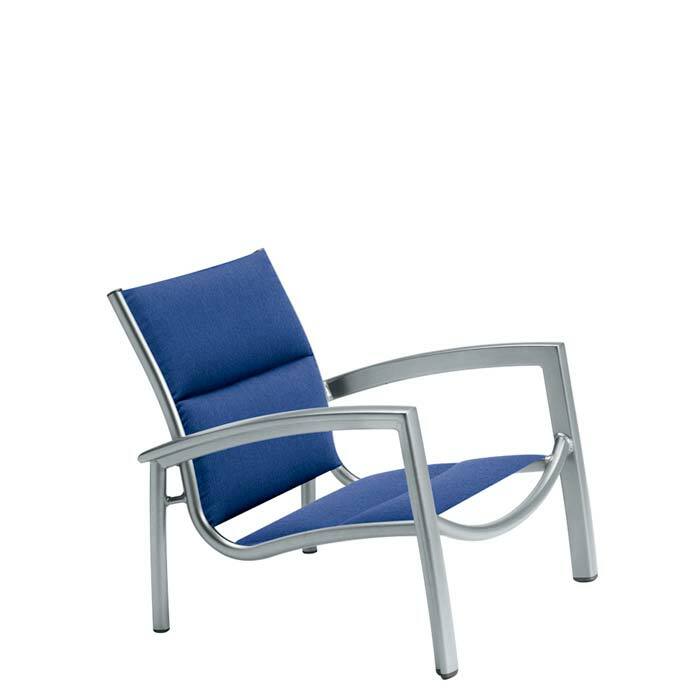 Created by noted designer Richard Holbrook and inspired by the stylish Miami neighborhood, this spa chair showcases modern curves on an aluminum frame. The South Beach Padded Sling Spa Chair features two pieces of fabric with padding slung across the seat and back frame. The outddor spa chair offers a modern look, while providing enhanced comfort. These South Beach Spa Chairs are stackable for quick, easy storage.